Top Notch Material: iPLAY Toys are Perfect for Your Babies First Christmas! iPLAY Toys are Perfect for Your Babies First Christmas! This is my little guys very first Christmas! As much as he loves noisy toys that light up and drive Mama crazy, Mama loves the more simplistic toys. In our home creativity is very important, so I love toys that allow my children to use their brain and not mind numbing noisy toys. I have reviewed iPlay in the past, and like always, we are very happy with the products they sent me for review this month!! TOYS!! 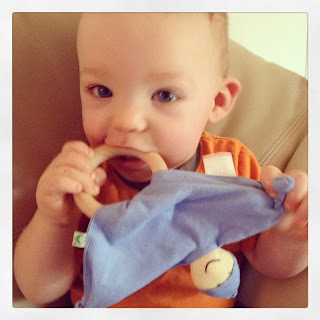 Little Pal with Wood Teether- at 10 months old, everything is in my sons mouth right now. EVERYTHING! I love having a toys that are okay to have in his mouth, and he seems to really enjoy Mommy allowing him to chew on something as well. The little pal portion of this toy is very soft and snuggly and the knots are fun for my little man to fidget with. My little guy has removed the wooden part by himself and uses that alone a lot. You can also wet the knots and put in the freezer to really soothe your little ones gums while teething! 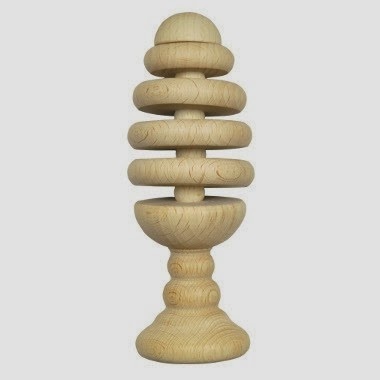 Natural Wooden Tree Rattle- This has a very soft chime, so it is not grating on the nerves at all. It has no paint, coating or stains, so this too is safe for my little man to chew on! He loves all things that he can make music with so this is a new favorite toy! Stacking Duck Set- My little man is at the age that we need to start working on his fine motor skills, so we are all about stacking things right now. 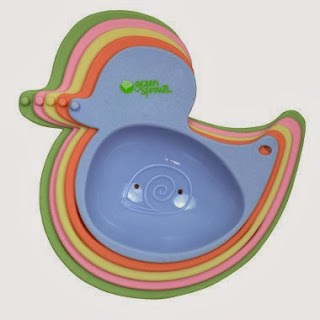 This BPA and PVC free toys is great for use in the bathtub or out. There are five differently colored ducks that holes for draining water if used in the tub. It is a very simple toy, but he has had a ton of fun playing with it, and Mommy loves the important skills he is building with it! If you have any questions, please contact me at nursemommypaige at yahoo dot com The disclosure is done in accordance with the Federal Trade Commission 10 CFR, Part 255 Guides Concerning the use of Endorsements and Testimonials in Advertising.